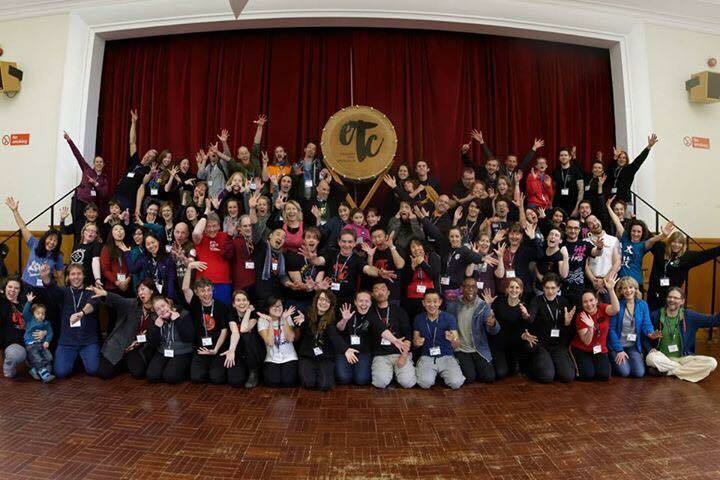 Last weekend taiko leaders from across Europe gathered at Hannah’s at Seale Hayne for an unforgettable weekend of taiko. Jonathan Kirby, Lucy Thomas and the amazing people at Kagemusha Taiko organized the event and a huge thank you goes out to them for the work they put into making this special event happen. Miyamoto Unosuke Shoten and kaDON were the European Taiko Conference official sponsors and it has been so rewarding to support the development of this community. I come away from the conference even more inspired and dedicated to the work we are doing at kaDON. The growing world wide taiko community is something we are dedicated to supporting by creating a valuable resource for people who love taiko. We can use technology to become more connected together and grow our bonds of community. The power of what kaDON can be for this community was brought home with a massive performance of ‘Ready Set kaDON!’ at the European TaikoConference. We had 29 people from the UK, the US, Germany, Italy, Sweden, Scotland, Wales, Austria, Hungary and Belgium all performing together for the first time. It really was magical! I also come away from the weekend with a renewed belief in the power of taiko to bring people together, to create community and to heal. The taiko has long served this role in the festivals that you can find in ever region of Japan. When the first taikogroups first started outside of Japan the power of the taiko started to create bonds of community. Now the sound of the taiko can be heard worldwide and it is starting to create a world wide community that crosses many boundaries and reminds all of us of our shared humanity. After the European Taiko Conference I headed to Madrid and then Ulm for moretaiko adventures. I’ll post the recap from these experiences in the next newsletter as this one is already getting quite long!